COULD YOU BE THE NEXT BIG MUSICAL THEATRE STAR? The search is on for a charismatic and talented actress with a great voice to portray the title role, starting in Cilla’s hometown of Liverpool. “My Mum loved singing and performing ever since she was a young girl and she was determined to do what she loved. Having performed at the clubs around Liverpool, including the famous Cavern Club, she got her big break when Brian Epstein spotted her and signed her. It was the start of everything that was to follow. She was a natural born performer who lived to entertain her audience. We are hoping to find that person who also dreams big and has the talent to match but just needs the chance to show it. We can't wait to meet you!" 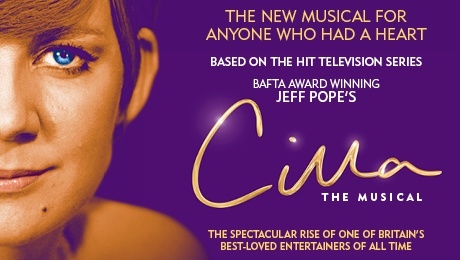 Bill Kenwright and Laurie Mansfield present this new musical about the life and legend of Cilla Black, which will open in her hometown at the Liverpool Empire from Thursday 7 – 16 September before embarking on a nationwide tour. Cilla The Musical, is a spectacular and heart-warming musical adaptation of the critically acclaimed ITV mini-series based on the early life of Cilla Black, by BAFTA award winner, Jeff Pope (The Moorside, Philomena, From The Cradle To The Grave, Mrs Biggs). The story follows the extraordinary life of the ordinary teenage girl from Liverpool, Priscilla White, and her rocky, yet incredible, rise to fame. By the age of just 25 she was recognised as international singing star Cilla Black. By the age of 30 she had become Britain’s favorite television entertainer headlining series’ of Blind Date, Surprise Surprise and many more.